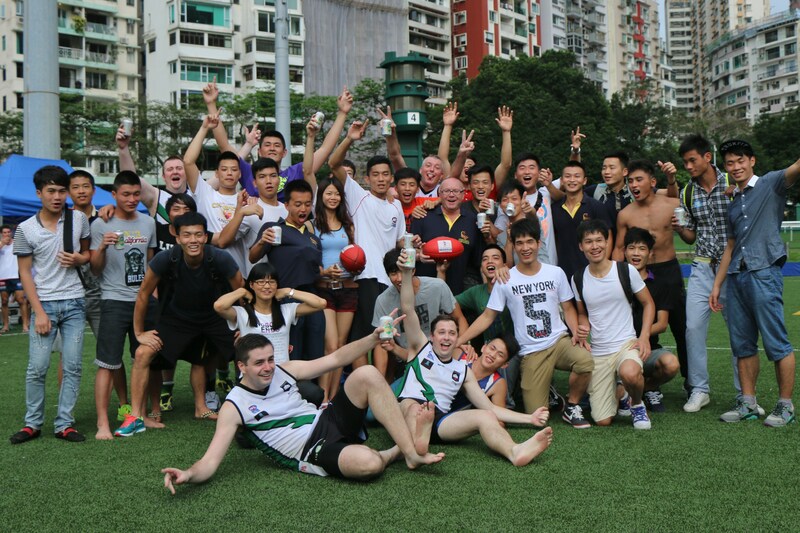 AFL Asia’s President, Phil Johns, congratulates the Hong Kong Dragons on their 25th anniversary. Last year the Singapore Wombats notched up their 20th anniversary. Next year, the Jakarta Bintangs celebrate their 20th. This year, the wave of the Hong Dragons Australian Football Club has come streaming down the ground and tonight, from deep within the forward line, will boot its 25th major. It’s an unassailable and deserved lead enjoyed by the Dragons. The depth of the Dragons’ history could potentially intimidate some of our younger Asian footy clubs, but, overwhelmingly, we’re impressed by the depth of your Club’s passion to encourage and develop footy around the region. The Dragons get it: you can’t play footy in Asia without an ump and an opposition. In 2003, not even SARS could stop you from hosting the 4th Annual Asian Championships. That was the year that the China Reds made their first appearance at the Champs – with just six players. That was also the year you toured to Vietnam with the Thailand Tigers to welcome the then Hanoi Swans to Asian footy. Four years later, you returned to Vietnam to be the first team to play the now national Vietnam Swans at home. Last year, the Dragons played a major role in the establishment of the SCAFL, the South China Australian Football League. It was an actual, organised and structured league that mixes locals and foreigners together playing matches that matter on a ladde. The Dragons were one of the champions of AFL Asia which was established last year. Dragon, Darren Whitfield, has of course taken on the roles of Vice President and Treasurer and has been a real tour de force. Perhaps those original Dragons back in 1989 may have thought history would judge them as dinosaurs. Instead, history judges them as founding fathers of the Hong Kong Dragons and a driving influence behind the establishment of AFL Asia. Now, when we fast forward the clock by 25 years to 2039, we cannot imagine an Asian continent without footy. It’s just the detail we’re not sure about. And for all of our clubs filling in the detail, that’s one of the most exciting things about playing footy in Asia. No other Asian Club has reached 25 before. Fittingly, the Dragons are celebrating it in fine style today. First the Auskick, then the SCAFL Grand Final and then the 25th Anniversary Dinner. That’s just what a justifiably proud Club does with a significant milestone. And don’t forget the the trophy cabinet which includes reigning back to back Asian Champs premiers and holders of the Manila Cup. The Hong Kong Dragons trophy cabinet is well and truly bursting with silverware. On behalf of AFL Asia, congratulations to the Hong Kong Dragons on your Silver Jubilee.